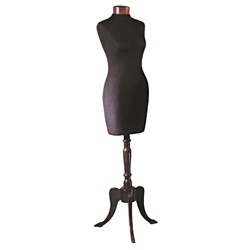 Our glossy white female torso dress form is perfect for all your display needs. She can wear a size 2 or 4. Made of fiberglass. Base included.